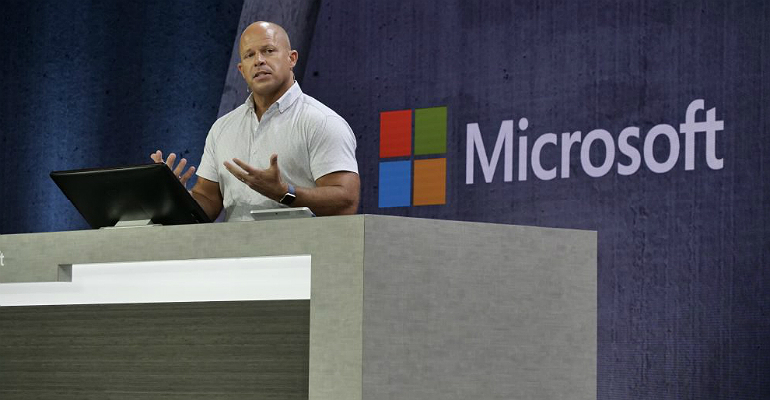 MICROSOFT IGNITE — Microsoft will take another stab at delivering a virtual desktop VDI and app service later this year that it will host in its Azure cloud and offer through Microsoft 365 subscriptions and Windows 10 Enterprise licenses. The new Windows Virtual Desktop (WVD), launched at Microsoft’s Ignite conference this week in Orlando, Florida, will challenge rival virtual cloud desktop as a service (DaaS) offerings, notably Amazon WorkSpaces and VMware Workspace One. Set for release by year’s end, WVD will provide multi-user access to Windows 10 and Office Pro Plus as a virtualized client. WDP will also include virtual Windows 7 clients with security updates and patches delivered through 2023, three years beyond when mainstream support for that OS is scheduled to end. Users can access their virtual Windows desktops hosted in Azure from PCs, Macs, Android and ioS devices, as well as from any HTML5-based client including Chromebooks. WVD is Microsoft’s latest attempt to offer a virtual desktop hosed in Azure. The company’s Azure RemoteApp, launched in 2014, was discontinued two years after its release after Microsoft formed a broad partnership with Citrix. Under that partnership, Azure became the control plane of the new Citrix Cloud. “This truly enables you to take that virtual application or virtual desktop and allows your users to get access to it anywhere, any time on any device,” said Microsoft corporate VP for Microsoft 365 engineering, Brad Anderson, who demonstrated WVD at a technical general session at Ignite this week. It was Anderson who had introduced Azure RemoteApp in 2014 at Microsoft’s annual conference for IT pros, then known as TechEd. “They have a world-scale public cloud that actually allows them to do this; they just weren’t prepared for it then,” said analyst Patrick Moorhead, president of Moor Insights and Technology. Advances in application streaming promise to offer improved performance of virtual desktop and app services such as WVD, Moorhead added. “From a latency point of view with a Microsoft VDI solution, they say it will be really good, but we’ll have to see,” he said. In addition to the virtual multi-user Windows client licenses, Microsoft 365 Enterprise includes Office 365, the Office Pro Plus suite and Enterprise Mobility and Security (EMS), the Azure-hosted service consisting of Intune client management, Azure Active Directory and information protection capabilities. While subscriptions include a multi-user mode option, they don’t require a separate Remote Desktop Services (RDS) license, said Scott Manchester, principal group program manager for Microsoft’s cloud and enterprise group, in an interview at Ignite. The only additional cost is IaaS consumption, he said. Observers at Ignite said Microsoft’s new virtual desktop offering could be a blow to Citrix. Manchester said that’s not the case, noting that Citrix launched at Ignite its own desktop as a service that will run with Microsoft’s new virtual desktop as part of a new DaaS offering. It’s among several supporting alliance partners that include CloudJumper, FSLogix, Lakeside Software, Liquidware, People Tech Group and ThinPrint. “In the Azure Marketplace under virtual windows and virtual desktop, there are additional services that can be added on top of this,” Manchester said. Microsoft is also making the new virtual desktop offering available through its Cloud Solution Provider (CSP) program, Manchester emphasized. SADA Systems, a Microsoft Office 365 partner, doesn’t offer virtual desktop services, but the company will evaluate Microsoft’s new offering, said Brandon Woods, the company’s director of business development.